TAZU ENTERTAINMENT‘s OZEE drops the visuals to his single gaining massive airplay nationwide, GIGYE . 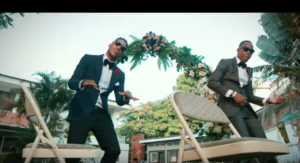 The song features Morell who brings his energy to the video. follow OZEE on all social media platforms via @iam_ozee. 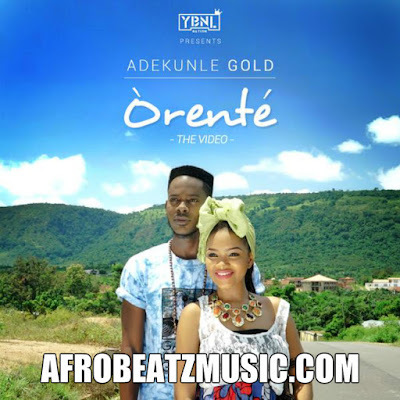 Indigenous and exclusively cultural piece from Adekunle Gold and it is titled, “Orente“. A love song explained the Yoruba way about the faithfulness of a woman who adores a man despite all the odds against them. This is one artiste to watch out for. Chidexy the fabulous Coal city Diva, is back again after the release of her last single Jolly. 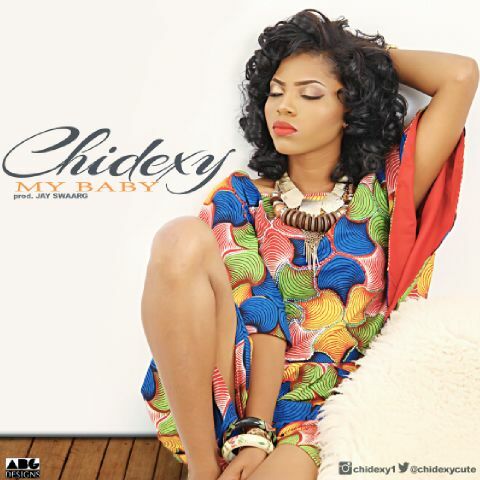 Chidexy is back with a Jayswaarg produced song, MyBaby. I will let you be the Judge of what you heard. ‎The SKUKI brothers show us their Loverboy side this time as they release the visuals to their song ‘FOREVER’. 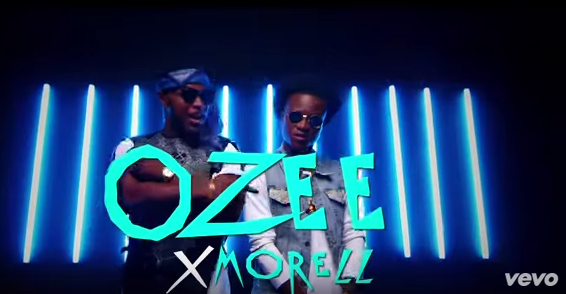 2Sec known for their hit single “Gwulime”, returns with a brand new catchy single. 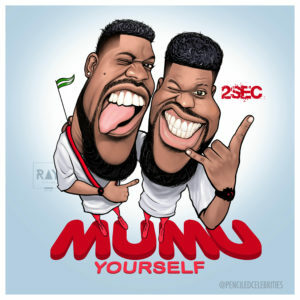 The latest offering from the duo is titled “Mumu Yourself” and it features raved comedian Aje Baba. Drum Roll is the first official single by the One Mic All Stars; a group of three gifted vocalists and one talented rapper (Acetune, L.A.S.E, Zorah and Jay Dreamz) looking to make a dent in the African music industry. The single is a catchy pop song with a huge potential to become 2015’s summer anthem. It celebrates confidence and originality and has a sing along quality that endears it to the listener. 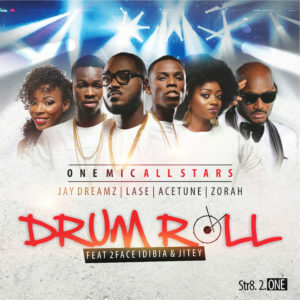 Drum Roll features the multi –award winning 2Face Idibia and Jitey, a fast rising songstress from Delta state. 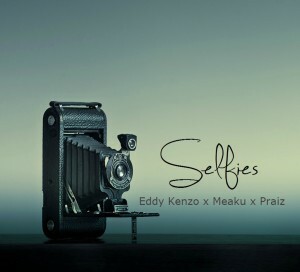 2015 BET Award winning artist Eddy Kenzo from Uganda, #1 Songwriter and Engineer turned Artist Meaku, alongside Nigerian music power house MTN and Hennessey Ambassador team up in this new summer smash “Selfies”. It has been dubbed as an “East meets West” record. Meaku as an engineer, songwriter and singer has worked with top world artists like Tyrese, Karl Wolf, Nneka, New Boyz, DBanj (rep 4 naija), M.I (rep 4 naija) Glasses Malone, 2Kriss and many others. Eddy Kenzo has become a household name in Africa after his song “Sitya Loss” went viral racking over 12 million views on YouTube. The young and fast rising born Nigerian “Ladies Oxygen” has decided to spice up his carrier by dropping his first official single title (Partially) Dancehall hightlife song prod by @Obodo Ro Obodo “supposed by (@djmikeystar) a born Nigerian eu based Deejay Based in The Netherland. Don’t keep this 4 yourself Download>>>>Share>>>> &>>>Rebroadcast.